Daniel H. "Danny" Miller, age 84, of Green Bay, entered into the Kingdom of Heaven, Tuesday, January 22, 2019 after a brief battle with cancer. He was born December 5, 1934 in Milwaukee, WI, son of the late Louis Sr. and Neva (Luecke) Miller and was a graduate of Custer High School, Milwaukee, Class of 1954. After graduation, Danny joined the family business, Glen Rock Beverage Company, Milwaukee, where he worked alongside his dad, brothers and sister. Danny married Barbara Halvorsen, October 15, 1955 and recently celebrated their 63rd Wedding Anniversary. When Glen Rock closed in 1973, Danny and his family relocated to De Pere, WI, where he worked for Green Bay Foods for 10 years. While working at Green Bay Foods, he also held a part-time job at PDQ Car Wash. Later, he held positions at Lindquist Machine and Schroeder's Greenhouse until his retirement. Danny and Barb spent many of their retired years in Peoria, AZ until 2016 when they moved back to Green Bay to be closer to family. In his younger years, Dan enjoyed tinkering, working on cars and built a hovercraft with his son, Michael. He was a "Jack of all trades" and could build and fix just about anything. He enjoyed traveling with his family. In the final months of Danny's life, he committed his life to Jesus Christ and accepted him as his Lord and Savior. 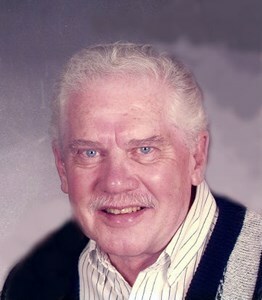 Daniel is survived by his wife, Barbara; his 3 children: Michael (Diane) Miller, Patricia "Pat" (Tony) Terral and Diane Hansen; 9 grandchildren: Paul, Amy, Brian, Sarah, Adam, Rachel, Stephanie, Brianna and Katie; 12 great-grandchildren; a sister, Marilyn Granat and a brother, Louis Miller Jr. He is further survived by nieces, nephews, other relatives and friends. He is preceded in death by 2 sisters, Dorothy (Bill) Ryan and Ruth (Leon) Jones and a brother, Winfred (Lavina) Miller. Visitation will be held at Newcomer-Green Bay Chapel (340 S. Monroe Ave., Green Bay, WI), Saturday, February 2, 2019 from 9 to 11 AM. A funeral service will follow at 11 AM. Danny's family would like to extend their heartfelt gratitude to the staff at Unity Hospice and Marla Vista, especially Lani, Stephanie and Cierra for their special care and attention. They would also like to thank Alan and Marcella who were always ready to prepare dad's grilled cheese sandwich and shake. Add your memories to the guest book of Daniel Miller. May you find comfort through your family and friends during this difficult time.